I finally broke into my January 2019 Paper Pumpkin Kit and was so surprised to see cute little kangaroos staring up at me! This month’s kit features some elements from the Animal Expedition Suite in the Annual Catalog. These adorable critters are making their way into my heart through these adorable pillow box treat holders. I love that this month’s kit coordinates with one of the sets in the Annual Catalog. 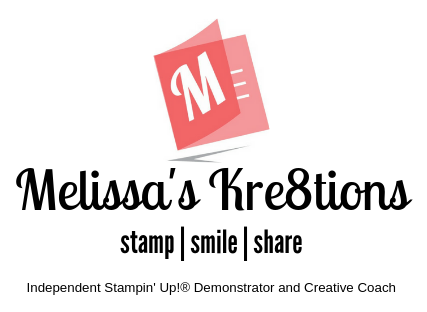 It makes it extra fun to play with the included stamp set to mix and match with the products in the catalog. Paper Pumpkin makes it so easy to get creative every month! This subscription box is delivered right to your door, giving you the freedom to craft on your time. Where, when, and how you want! There are included, step-by-step instructions to create the project for that month, or you can search for lots of inspiration through the internet for alternate projects. Today’s video features the Paper Pumpkin kit as it is, but be sure to stay tuned for a special blog post and video tutorial for my alternate, coming soon! Right now is the perfect time to sign up for Paper Pumpkin because it’s Sale-A-Bration! That means, if you sign up for a 3, 6, or 12 month subscription, you can earn FREE items from the Sale-A-Bration flyer! Check out what you can earn HERE and be sure to sign up for your Paper Pumpkin account HERE. To get the Sale-A-Bration rewards, head to my shop HERE and choose your subscription. You’ll get a code that you will enter into your Paper Pumpkin account. If your order is less than $150, use my current hostess code 2MKSGAKY when you place your order to get a thank you card from me at the beginning of next month! Anyone that places an order with me or joins me team gains access to my exclusive VIP group on Facebook where I post live video tutorials, sneak peeks, and more! Your support means a lot to me and helps me to continue doing what I love, which is making crafty videos for you to enjoy.